Winter is upon us, and those with normal to dry skin have already begun prepping up for the dry, harsh weather ahead. While the market is packed with an array of skincare products, it can be quite overwhelming to choose what suits our skin type and concern. However, we are fans of brands that focus on specific concerns and highlight them prominently. 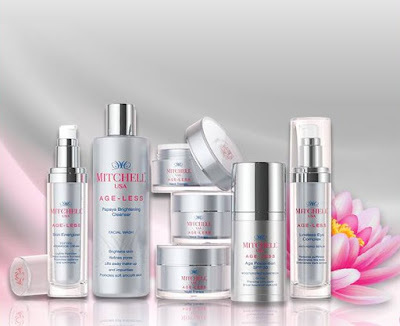 One such brand happens to be Mitchell USA, that was launched recently in India. With a strong focus on anti-ageing, pigmentation, discolouration among other concerns, some of the skin care products by Mitchell USA look quite promising, especially for the ongoing season. Recently, the brand invited us to try some of their latest beauty products. Since I did not fit the requirement for these products, which mostly focus on anti-ageing (and I strongly believe it is important for me to present an honest opinion for you guys), I decided to invite a close friend for this experiential. Over a period of 7 days, she tried some of the products from the brand's ' Age-Less' range. Here's presenting an introduction to the brand, along with a 'tried and tested' honest review. 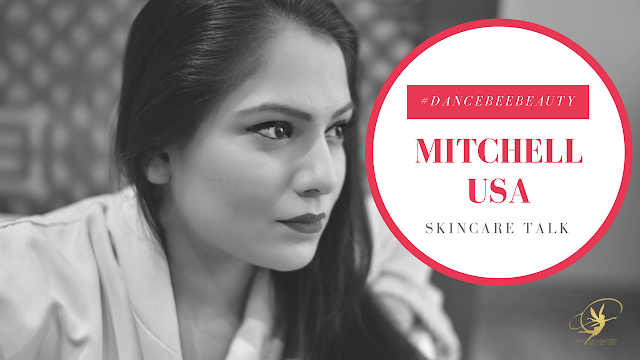 *Note: None of us at Team Dancebee are huge fans of any product that endorses fairness or skin brightening. For us, beauty comes from within and has nothing to do with colour, shape or size. It helps that our volunteer too was on the same page as us. So, although the range also highlights skin brightening, we will not be focusing on that aspect, because we don't endorse 'fairness' in anyway. What do they promise? 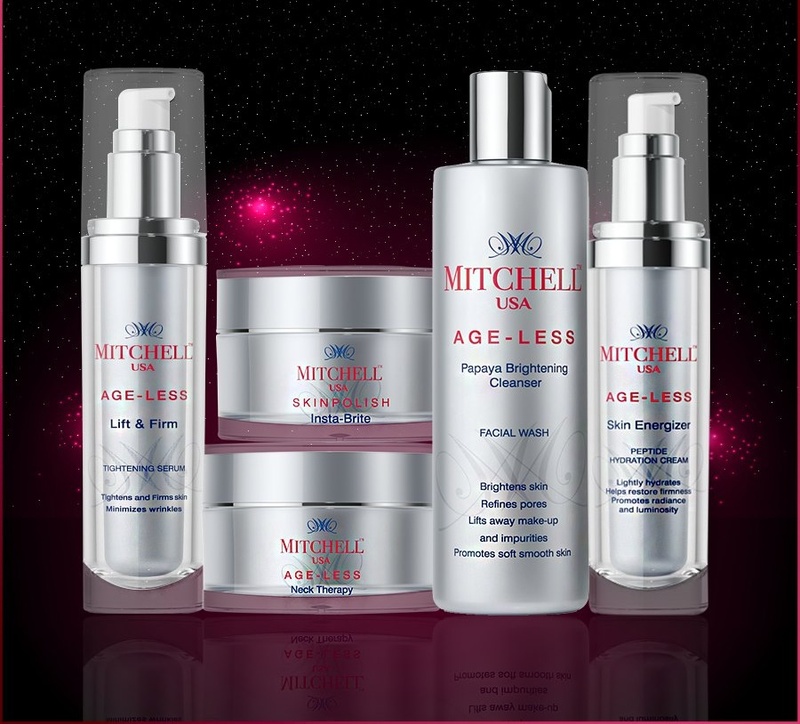 - Mitchell's age-less range is your non-invasive solution for tightening, lifting skin, reducing fine lines and wrinkles, improving skin tone. Product Trial & Review (as stated by our volunteer): Before starting off with this trial, I went through the product details of each item to understand the concern it targets. According to the brand, the range is curated and crafted specially for Indian skin type and tone. After understanding all the products, I created two regimes, one each for day and night. Day Regime: I start off by using the Papaya Brightening Cleanser. It promises to refine pores and leave the skin feeling smooth. The texture is creamy, and naturally, it has a fruity fragrance. I like massaging this cleanser on my face for sometime, before rinsing it off. The product did not dry out my skin, which helps. The fragrance was a bit too fruity for me, but the cleanser did a decent job. This was followed by the Lift & Firm Tightening Serum. A little bit of this product goes a long way. Lastly, I used the Skin Energiser Peptide Cream. Although the texture was smooth and creamy, it absorbed very well. The fragrance is subtle, which I like. It hydrates pretty well and creates a good canvas for make up as well. Night Regime: After removing my make up, I cleanse my face with the Papaya Brightening Cleanser. This is followed by the Lift & Firm serum. I used the Night Therapy Anti-Wrinkle cream, which has some good repair and nourishment properties, which works well on your skin overnight. I like to massage this product all over my face, leaving the eye & neck area. Then, I used the Lineless Eye complex, which is an excellent under eye serum and one of my favourite products from the range. It helps reduce puffiness and minimises fine lines. Finally, I massaged the neck area with Neck Therapy Refining Cream. 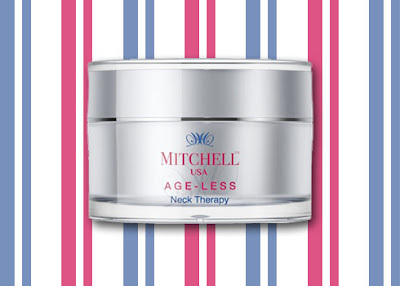 Neck is usually the most neglected area, and it helps that they have a product dedicated to it, which helps in improving the skin texture and firmness. Twice a week, I used the Skin Polish Exfoliating Cream (I skip cleansing, as this one does a fine job anyway). It's a creamy, grainy exfoliator. The product is wonderful, as it helped remove all the excess dirt, sebum quite efficiently. All the creams, including the exfoliator, have a standard fragrance, which is subtle. Post Trial Experience: A week is not enough to understand the way a product works on your skin. It takes a good amount of time for them to work their magic. However, while sticking to our deadline, there are few things that I did notice. Firstly, the eye serum was fabulous! It helped reduce the puffiness to a good extent. Also, it hydrated the eye area really well. 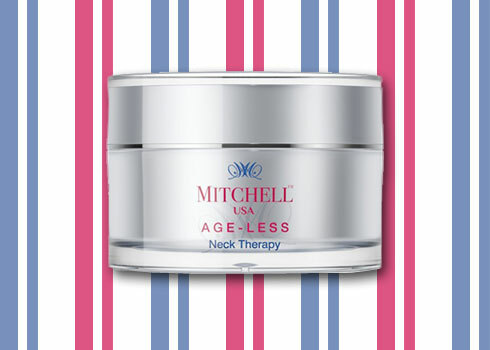 Secondly, I loved the neck therapy cream. It hydrates the neck area and works well to improve the skin texture. I am sure there will be a visible difference with continuous use. Definitely a favourite, and I will be re-purchasing it for sure. Lastly, Peptide hydration cream is a good addition to your daily regime for winter. It moisturises the skin really well and keeps it supple for a good number of hours. Another product that I wouldn't mind repurchasing. The cleanser was just like any other, and the fragrance kind of put me off. So, that's not on my favourites list. The night therapy cream was also pretty good. Final Verdict: Overall, it was a decent experience. The range scores full marks in the hydration, packaging and quality space. Wish they go a little easy on skin brightening. Big thank you to our volunteer for taking time out and testing these products for our readers!